The USDA has granted Zoetis’ Vanguard Rapid Resp intranasal vaccine line one-year duration of immunity claims for Bordetella bronchiseptica, canine adenovirus type 2 (CAV-2), and canine parainfluenza virus (CPiV). 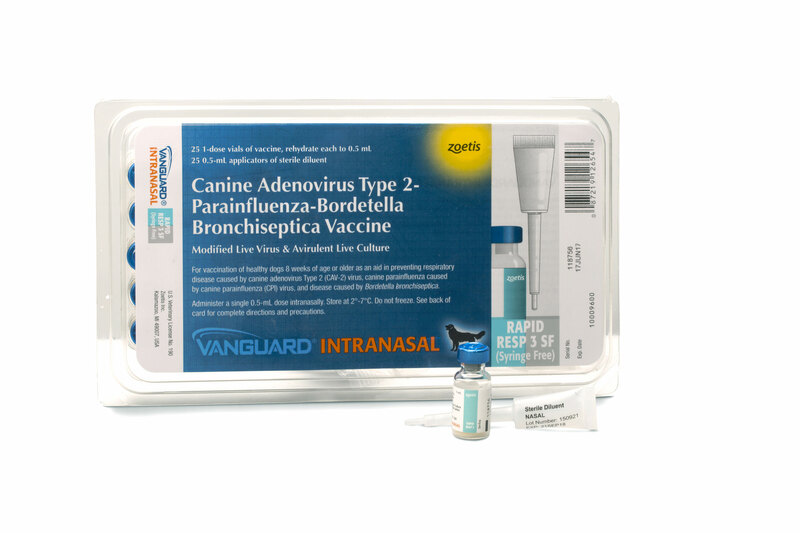 Vanguard Rapid Resp is the first and only intranasal vaccine line in the US that has been demonstrated to provide one year of protection against three important canine infectious respiratory diseases (CIRD), according to the company. Vanguard Rapid Resp is available in three antigenic combinations (Bb + CPiV + CAV-2; Bb + CPiV; Bb only); all choices can be administered with a syringe or a syringe-free applicator.